Single house in the area of Ano Melissi, in Xylokastro Korinthos, in a really beautiful area just 8 minutes from the beach. It consists of 3 bedrooms and it can accomodate up to 5 people, a kitchen and a bathroom, fully equipped with very beautiful views. Available for season rental or for monthly rental. Holiday house of daily rental only minutes away from a variety of beautiful beaches in Ampelas you can choose from quiet seclusion or enjoy activities such as water skiing or kite-boarding. There is also easy access to local restaurants, cafes and grocery stores. The two bedroom (double beds), two bathrooms offers a total 76 m2 of living space including a sitting and dining area and fully equipped kitchen. It can ideally accommodate 4. Outdoors you can enjoy the large shaded patio and 170 m2 garden overlooking olive trees and the sea. The hostess cosy dining and living area is perfect for entertaining as well as rest and relaxation. 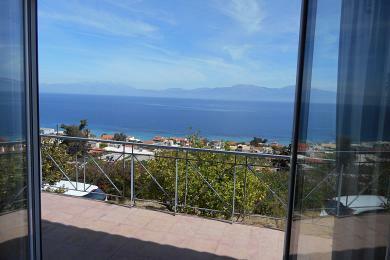 Beautiful, furnished apartment overlooking the peaceful bay of Theologos of Fthiotida. It is just 2 km a?a? from the beach, where there are cafes and taverns. Except Theologos beach, there are many small bays, with crystal clear waters for swimming. It consists of a living room with fireplace, an open plan kitchen, one bedroom and a bathroom. It has a very large veranda and it is part of a complex of three apartments. It is set on an acre plot and it has parking. Furnished apartment in Marousi, accross Golden Hall. 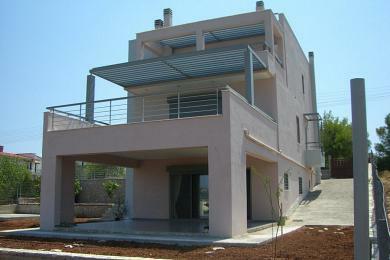 Apartment of 55sqm in Paradisos in Marousi, near Kifisias avenue accross Golden Hall. It has also a parking space. The apartment has all the electrical appliances and furniture. Ideal choice for those working in the area. Available from 15/9/2019. 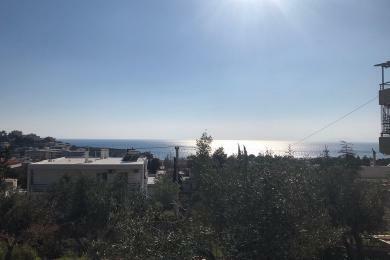 Beautiful, furnished apartment overlooking the peaceful bay of Theologos of Fthiotida. It is just 2 km a?a? from the beach, where there are cafes and taverns. Except Theologos beach, there are many small bays, with crystal clear waters for swimming. It consists of a living room with fireplace, an open plan kitchen, two bedrooms and a bathroom. It has a very large veranda and it is part of a complex of three apartments. It is set on an acre plot and it has parking. This very cute 45sqm furnished studio is located just behind the Hilton Hotel, 1 km from Syntagma square and 500m from Kolonaki square. In the neighborhood of the Hotels ( Hilton and Caravel Hotel ) definitely is the most suitable for singles that need to have a base without wondering what to do after their busy schedule as the area has all kind of entertainment like cafe, restaurants, cinema, shopping, gym, and a beautiful park 5 min walking distance for those love to exercise in the nature. The metro station 300m away is the best solution if you need to travel through the city to the South or to the North within 40min maximum. The apartment is fully equipped, ready to welcome its new resident. Furnished apartment with special ancient Greek decoration in Agia Paraskevi, recently renovated. It is east - meridian, bright, in a corner, facing the garden of the building and the adjacent gardens and has a parking space. Located close to bus stops. Furnished apartment in beautiful neighborhood Thission, in a particular fresh and youthful style. Located on ground floor of a private two-storey building in a quiet street just 100 meters away from the pedestrian area, 135sqm consisting of a comfortable living room, a comfortable bedroom with utility room, 2 bathrooms with shower, and a fully equipped kitchen. Completely autonomous gas heating and wifi, meet the needs of every visitor. Available from October to late March, an ideal choice for travelers and employed people who come with a short stay. Furnished garden apartment in Saronida, with sea view. part of a two-storey building. The apartment is 500 meters away (8 min walking) from Saronida square and the beach side. It was refurbished and furnished to provide a comfortable living space for its tenants. In the living room there is a built-in sofa for guest hospitality. Ideal for those looking for a holiday home or a permanent residence in the area. 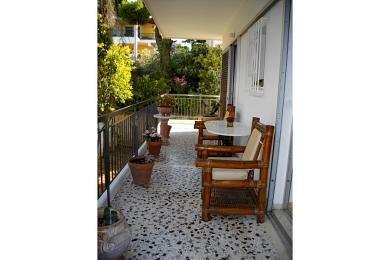 Garden apartment in Porto Rafti near the seaside. Ground floor residence, in a beautiful garden, on a plot of 500 sqm, awaits the lovers of the sea and the sun. Fully renovated in 2007, it has 2 a/c and it consists of a hall, a living room, a kitchen, two bedrooms and a bathroom. The verandas are 35 sqm and within the plot there is a parking space for one car inside the plot and 2 seats outside the plot. It has a tiled roof and wooden surface inside with beams, which creates a welcoming place. It is just 500 meters from the beach and the beautiful bar Kazba. The entire bay has beautiful beaches.